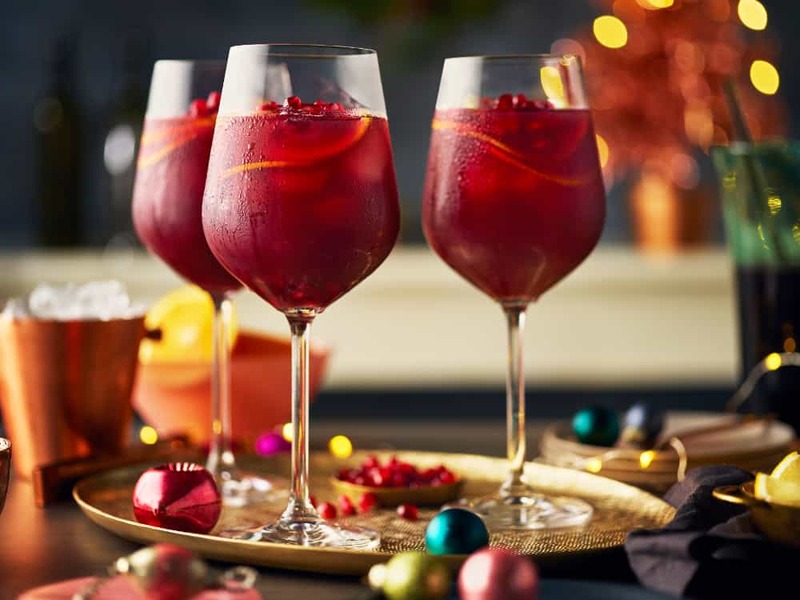 Sweet-tart pomegranate juice and warm winter spices add festive flavor, and de-alcoholized red wine makes this a great non-alcoholic option. 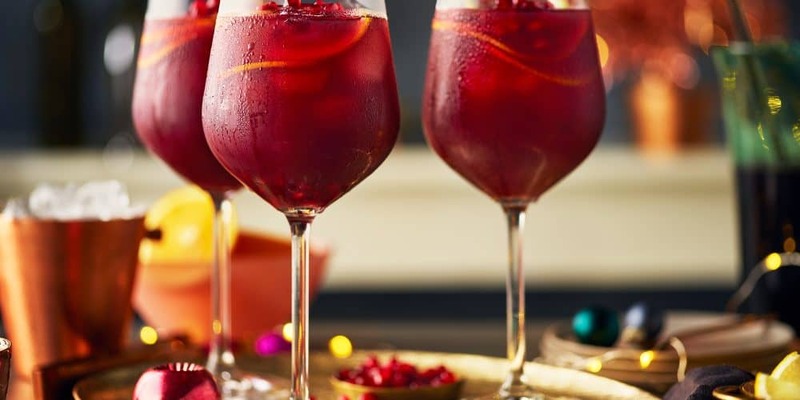 “Spruce up this Spiced Sangria mocktail with sprigs of basil or fresh mint for an extra pop of color and freshness,” suggests Michelle Pennock, executive chef for the President’s Choice Test Kitchen. Bring sugar, cinnamon, allspice, cloves, nutmeg and 1 cup water to a boil in small saucepan over medium-high heat. Cook, stirring often, until sugar is dissolved; about 2 minutes. Remove from heat; let cool for 30 minutes. Refrigerate syrup until chilled; about 30 minutes. Stir together orange, lemon, 1 cup wine, pomegranate juice,orange juice and ¼ cup syrup in 3-L (12 cup) pitcher. Cover and refrigerate for one hour or up to 12 hours. Stir in frozen pomegranate arils and remaining wine. Divide among wine glasses filled with ice. You’ll make more of the spiced syrup than you need for one batch of this sangria. Refrigerate the remaining syrup in an airtight container or jar for up to one month and use in your favorite cocktails and mocktails, or as a dressing for fruit salad. 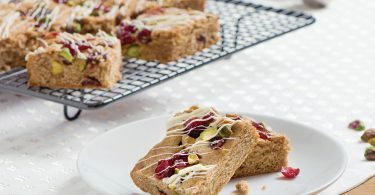 Nutritional information per serving: Calories 100, fat 0 g, sodium 10 mg, carbohydrate 24 g, fibre 1 g, sugars 20 g, protein 1 g.